With an enrollment of approximately 15,000 students, Texas Woman̠s University is the nation̠s largest university primarily for women. 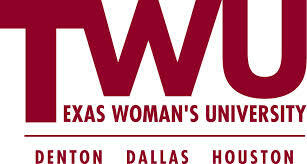 TWU offers degree programs in the liberal arts, nursing, health sciences, the sciences, business and education. Its campuses in Denton, Dallas and Houston are joined by an e-learning campus offering innovative online degree programs in business, education and general studies. TWU serves the citizens of Texas in many ways, including:Graduating more new health care professionals than any other university in Texas.Easing the teacher shortage by placing highly qualified professionals in the classroom.Offering a liberal arts-based curriculum that prepares students for success in a global society.Conducting research that impacts the prevention and treatment of childhood obesity, osteoporosis, stroke and diabetes.